Rumors related to Apple’s healthcare takeover abound, with CNBC reporting that the company is working behind the scenes to develop an Iphone-based repository of health data that users can share from at will. Lab results and allergy lists seem to be first on Apple’s pick list of data points to tackle. 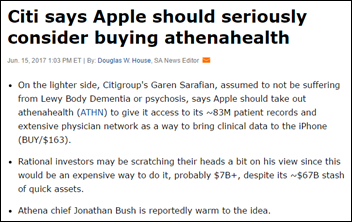 Tied in with that is the recommendation of a Citigroup analyst that Apple buy up Athenahealth in a move that would give it access to the EHR vendor’s 83 million patient records and its Epocrates physician end users and technology. Apple is certainly a force to be reckoned with when it comes the ubiquity of its mobile devices (though some have lately challenged that notion), but it seems the issue of interoperability with other competing platforms – as seen so often with healthcare – would raise its ugly head sooner rather than later. It would be fun to see how Apple fanboys would take to Jonathan Bush’s cult of personality. This week on HIStalk Practice: The FBI looks into Zoom’s falsified risk-adjustment payments. Community Health and Wellness Center of Greater Torrington leans on Stone Health Innovations for CCM expertise. Several cancer care practices select Flatiron Health software and support. Digital Noema Telehealth adds EazyScripts e-prescribing to virtual consult software. The Medical Society of the State of New York expands partnership with DrFirst. Spry Health raises $5.5 million. Dermatologist Stacia Poole, MD discusses the role health IT plays at a practice with older patients. Thanks for reading. June 22 (Thursday) 1:00 ET. “Social Determinants of Health.” Sponsored by Philips Wellcentive. Presenter: David Nash, MD, MBA, dean, Jefferson College of Population Health. One of the nation’s foremost experts on social determinants of health will explain the importance of these factors and how to make the best use of them. June 29 (Thursday) 2:00 ET. “Be the First to See New Data on Why Patients Switch Healthcare Providers.” Sponsored by Solutionreach. As patients pay more for their care and have access to more data about cost and quality, their expectations for healthcare are changing. And as their expectations change, they are more likely to switch providers to get them met. In this free webinar, we’ll look at this new data on why patients switch and what makes them stay. Be one of the first to see the latest data on why patients leave and what you can do about it. July 11 (Tuesday) 1:00 ET. “Your Data Migration Questions Answered: Ask the Expert Q&A Panel.” Sponsored by Galen Healthcare Solutions. Presenters: Julia Snapp, manager of professional services, Galen Healthcare Solutions; Tyler Suacci, principal technical consultant, Galen Healthcare Solutions. This webcast will give attendees who are considering or in the process of replacing and/or transitioning EHRs the ability to ask questions of our experts. Our moderators have extensive experience in data migration efforts, having supported over 250+ projects, and migration of 40MM+ patient records and 7K+ providers. They will be available to answer questions surrounding changes in workflows, items to consider when migrating data, knowing what to migrate vs. archive, etc. Previous webinars are on our YouTube channel. Contact Lorre for information on webinar services. 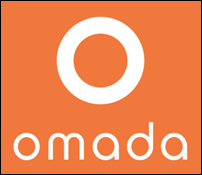 Omada Health raises $50 million in a round led by Cigna, which will offer the company’s digital chronic disease management technology to its members. Cleveland Clinic and Oscar Health will offer co-branded insurance plans to people in northeastern Ohio. The move is a first for both organizations, marking Oscar’s entry into the state and the health system’s first time offering an insurance product bearing its name. 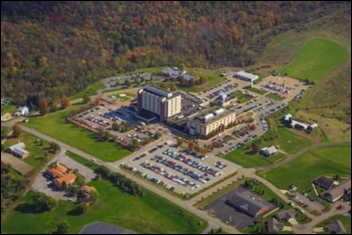 Weirton Medical Center (WV) sues Cerner and its Siemens subsidiary for their failure to provide adequate support and service related to a $30 million contract extension for Soarian in 2013. A trial by jury has been requested. WMC’s end goal appears to be termination of its contract with Cerner, and Cerner’s free-of-charge assistance in switching the hospital to a new vendor. PokitDok acquires the software and pharmacy assets of Oration, a prescription management and savings app developer. PokitDok plans to make Oration’s commercial pharmacy benefit data available through its DokChain network. 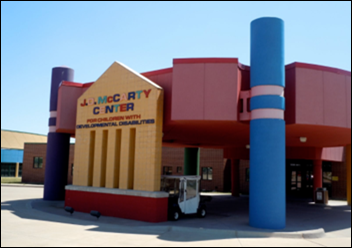 JD McCarty Center for Children with Developmental Disabilities (OK) implements Evident’s Thrive EHR. The center enlisted the consulting services of TruBridge to assist with the roll out. Evident and TruBridge are both subsidiaries of CPSI. Physician’s Computer Company adds FDB’s MedsTracker e-prescribing tool to its EHR for pediatricians. MModal’s CAPD tools now support Epic’s NoteReader CDI module. Salesforce adds new communications features to its Health Cloud CRM, enabling caregivers outside of the doctor’s office to communicate via mobile device, and to share care plans across different organizations. Community Medical Centers (CA) will implement LogicStream Health’s Clinical Process Improvement solutions. 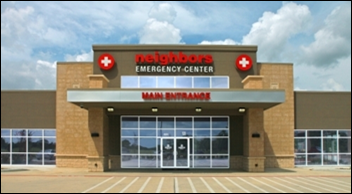 Neighbors Emergency Center selects Presidiohealth’s FSEC Foundation software, which combines T-System’s EDIS with Presidio’s PM technology. Clinical Computer Systems, developer of the Obix Perinatal Data System, promotes Cindy Bell to VP of customer services. Cambia Grove founder and executive director Nicole Bell will join Amazon Web Services as principal business development manager, serving as a healthcare industry liaison. Erin Jospe, MD (PatientKeeper) joins Kyruus as CMO. 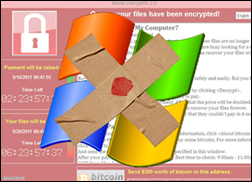 Microsoft releases a bevy of security updates to protect users from WannaCry-like attacks. In addition to automatic updates, the company is making the updates available for manual download and installation for unsupported software versions including Windows XP and Windows Server 2003. Sensato Cybersecurity Solutions will focus on the attacker’s perspective during its Hacking Healthcare Workshop, set to take place September 13-14 in Asbury Park, NJ. 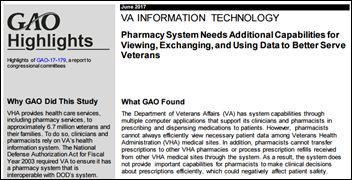 A GAO report finds that pharmacists at the VA have trouble accessing patient data via its pharmacy system, and often run into trouble when transferring or refilling prescriptions from non-VA facilities. Recommendations include updating the system and taking a deeper look at barriers to interoperability. 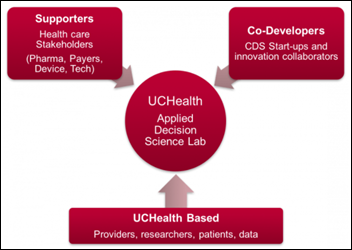 Colorado’s UCHealth launches the virtual Applied Decision Science Lab through its CARE Innovation Center to collaborate with entrepreneurs on healthcare technology. Researchers are particularly interested in using AI and machine learning to enhance EHR workflows and clinical decision support. Bloomberg reports that nearly half of the $2 billion raised on popular crowdfunding platforms like GoFundMe are being used to pay medical expenses. Facebook has gotten in on the action, adding a health category to a new feature that lets users set up fundraisers for personal causes. A US District judge sentences Wilbert Veasey, Jr. to pay over $23 million to CMS and serve 17 years in prison for his part in what authorities call the biggest home health fraud in the history of Medicare and Medicaid. Veasey, along with four conspirators, convinced already vulnerable Medicare patients to sign up for unnecessary home health services, after which they then filed for reimbursements for via a number of shell companies. 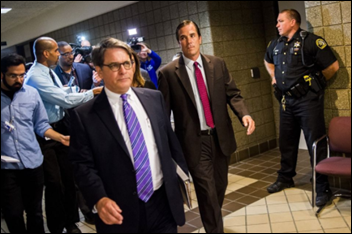 The racket ultimately ran up $374 million in fraudulent claims. Liaison Technologies will host an IT Leaders Forum on data strategy June 21 in London. Meditech will host the 2017 Revenue Cycle Summit June 20-21 in Foxborough, MA. Navicure will exhibit at the Florida MGMA 2017 Annual Conference June 21-22 in Orlando. Experian Health publishes a new case study featuring Yale New Haven Health. Health Catalyst adds Duncan Gallagher (Allina Health) to its Board of Directors. The Medical Society of the State of New York will offer its members complimentary access to DrFirst’s e-prescribing and medication management app. InterSystems customers Northwell Health and Mount Sinai Health System connect their private HIEs to the New York-based Healthix public HIE. ROI Healthcare Solutions will present at Inforum 2017 July 10-12 in New York City. Mr. H, Lorre, Jenn, Dr. Jayne, Lt. Dan. – Apple sells hardware, not software. EHR is not a hardware market. – The EHR market is now chump-change for Apple, especially now that the MU money has dried up and everybody is locked in to an EHR. – The existing EHRs do a poor job of handling patient-generated data, especially from wearables but really all of it, so large opportunity there. – Apple getting into the EHR business wouldn’t be disruptive, they prefer to disrupt markets. – Apple is way understaffed and underskilled to handle such an endeavor. While they could buy an EHR company to get the necessary people, that precludes doing anything disruptive because they’re stuck with the EHR. Not really their style. – Apple has staffed the digital health side, and assuming they’re getting advice from their recent hires, they’ll not be huge fans of EHRs. – Apple will announce a light PHR with an enhanced version of HealthKit and begin marketing HealthKit directly to healthcare clients, which they’ve previously avoided due to regulatory issues. They’ll also announce some partnerships using their new Bluetooth on the watch (like the Dexcom one at WWDC). They’ll be able to import and export CCRs, and possibly transmit them to HIEs. – We’ll immediately see some headline-chasing wealthy medical centers loudly promote that they’re working on innovative projects using this new toolset. – One year later the people at those med centers working on the project will be hired by Apple. – Two years later we’ll see a couple of articles come out about those projects, each with an n of < 250 people, costs not assessed, and mild clinical benefit because the users were mostly healthy people. – Organizations actually providing medical care will review it and quietly take a pass because < 50% of their patients actually have iPhones, those that really need help (the poor, elderly, and multiple chronic disease) either have Androids or no smartphone, and there's lower hanging fruit to go after with their limited dollars. “Certainly when we bought them and closed, there were already a small group of clients that had decided and notified Siemens that they were leaving the fold. Every one of those is still writing me their monthly check or owes me their monthly check for their contract duration, which can extend anywhere from three to five more years. ” — Marc G. Naughton – Cerner Chief Financial Officer & Executive Vice President – on recent Wall Street conference call. At the end of the day, the hospital signed a contract for a specific software suite, which did not change as part of the acquisition. Why shouldn’t they honor said contract? The software suite didn’t change of course but the Hospital feels the support and service did. Which if true would be Cerner not honoring a contract they acquired. Given the fact that there always is a rapid heading to the exits of talent at companies that get acquired, and from the support teams of products that are going to be sunset, it isn’t unfair to believe it is possible/probable that Cerner wasn’t able to maintain the level of support required of complex EHR software that needs consistent year over year updating to function properly. Software written on a platform they didn’t develop or support nor have any plans to support long term. Add in the resources that have to be dedicated elsewhere to a massive and very public DOD contract, as well as at multiple signings at much larger facilities than Weirton, and the notion of Cerner not being able to meet the commitment to their end of the contract isn’t such a big stretch is it? TB, at the end of the day, Neal Patterson needs to live up to his much-self-promoted morality. Cerner knew Siemens was peddling vaporware when they bought the customers. Now they’re ignoring the “obligations” side of the soarian contracts and focusing only on the “revenue stream” side. Naughton’s sentiment is shameful to think privately, much less state publicly. Pinnaclehealth lawsuit is the same story. Had an annual support level review built into the contract. Cerner wouldn’t take the meeting… Then sued the health system. Thanks for the L Weed link. Never gets old and he is funny to boot.